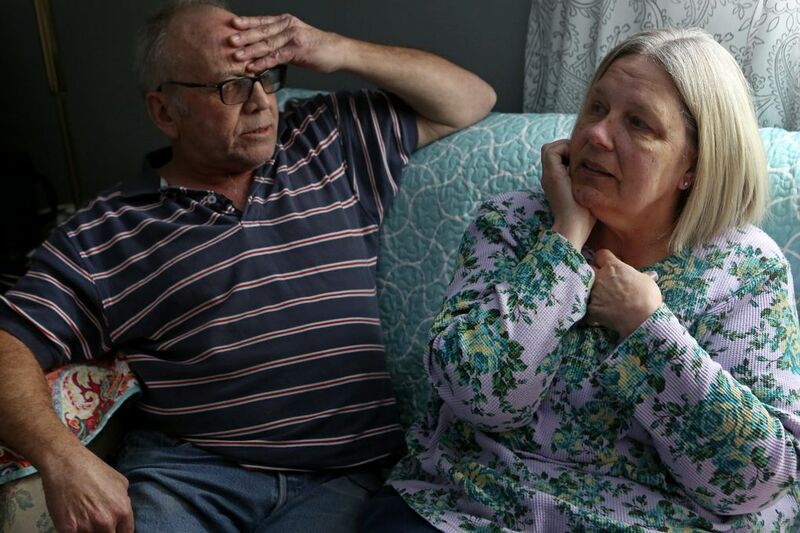 EPHRATA, Grant County — After years of living in a 1963 travel trailer, Kirk and Patricia Ackley found a permanent house with enough space to host grandkids and care for her aging father suffering from dementia. But the closing documents he set before them held a surprise: The promised 7 percent interest rate was now 12.5 percent, with monthly payments of $1,100, up from $700. This report is a collaboration between The Seattle Times and The Center for Public Integrity, a nonprofit, nonpartisan investigative newsroom based in Washington, D.C.
Berkshire Hathaway, the investment conglomerate Buffett leads, bought Clayton in 2003 and spent billions building it into the mobile-home industry’s biggest manufacturer and lender. Today, Clayton is a many-headed hydra with companies operating under at least 18 names, constructing nearly half of the industry’s new homes and selling them through its own retailers. It finances more mobile-home purchases than any other lender by a factor of six. It also sells property insurance on them and repossesses them when borrowers fail to pay. Berkshire extracts value at every stage of the process. Clayton even builds the homes with materials — such as paint and carpeting — supplied by other Berkshire subsidiaries. When homes got hauled off to be resold, some consumers already had paid so much in fees and interest that the company still came out ahead. Even through the Great Recession and housing crisis, Clayton was profitable every year. Under federal guidelines, most Clayton mobile-home loans are considered “higher-priced.” Those loans averaged 7 percentage points higher than the typical home loan in 2013, according to a Times/CPI analysis of federal data, compared to just 3.8 percentage points for other lenders. Buyers told of Clayton collection agents urging them to cut back on food and medical care or seek handouts in order to make house payments. And when homes got hauled off to be resold, some consumers already had paid so much in fees and interest that the company still came out ahead. Even through the Great Recession and housing crisis, Clayton was profitable every year, generating $558 million in pre-tax earnings in 2014. The company’s tactics contrast with Buffett’s public profile as a financial sage who values responsible lending and helping poor Americans keep their homes. As Buffett tells it, his purchase of Clayton Homes came from an “unlikely source”: Visiting students from the University of Tennessee gave him a copy of founder Jim Clayton’s self-published memoir, “First a Dream,” in early 2003. 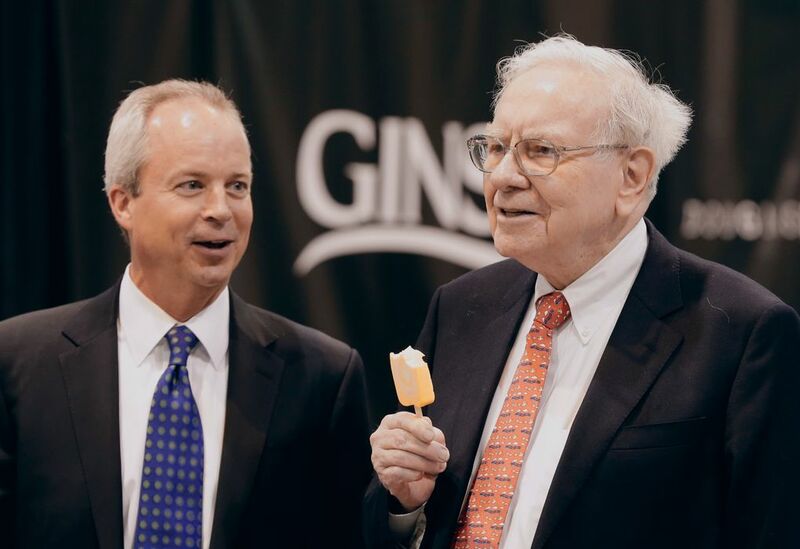 Buffett enjoyed reading the book and admired Jim Clayton’s record, he has said, and soon called CEO Kevin Clayton, offering to buy the company. “A few phone calls later, we had a deal,” Buffett said at his 2003 shareholders meeting, according to notes taken at the meeting by hedge-fund manager Whitney Tilson. The tale of serendipitous dealmaking paints Buffett and the Claytons as sharing down-to-earth values, antipathy for Wall Street and an old-fashioned belief in treating people fairly. But, in fact, the man who brought the students to Omaha said Clayton’s book wasn’t the genesis of the deal. “The Claytons really initiated this contact,” said Al Auxier, the Tennessee professor, since retired, who chaperoned the student trip after fostering a relationship with the billionaire. CEO Kevin Clayton, the founder’s son, reached out to Buffett through Auxier, the professor said in a recent interview, and asked whether Buffett might explore “a business relationship” with Clayton Homes. At the time, mobile-home loans had been defaulting at alarming rates, and investors had grown wary of them. Kevin Clayton was seeking a new source of cash to relend to homebuyers. He knew that Berkshire Hathaway, with its perfect bond rating, could provide it as cheaply as anyone. 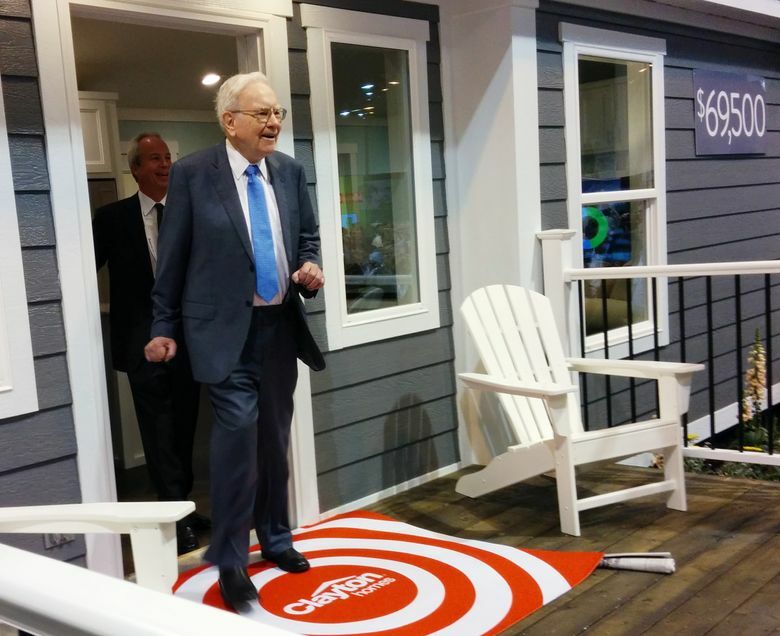 Later that year, Berkshire Hathaway paid $1.7 billion in cash to buy Clayton Homes. Berkshire Hathaway quickly bought up failed competitors’ stores, factories and billions in troubled loans, building Clayton Homes into the industry’s dominant force. In 2013, Clayton provided 39 percent of new mobile-home loans, according to a Times/CPI analysis of federal data that 7,000 home lenders are required to submit. The next biggest lender was Wells Fargo, with just 6 percent of the loans. To maintain its down-to-earth image, Clayton has hired the stars of the reality-TV show “Duck Dynasty” to appear in ads. The company’s headquarters is a hulking structure of metal sheeting surrounded by acres of parking lots and a beach volleyball court for employees, located a few miles south of Knoxville, Tenn. Next to the front door, there is a slot for borrowers to deposit payments. Near the headquarters, two Clayton sales lots sit three miles from each other. Clayton Homes’ banners promise “$0 CASH DOWN.” TruValue Homes, also owned by Clayton, advertises “REPOS FOR SALE.” Other nearby Clayton lots operate as Luv Homes and Oakwood Homes. With all the different names, many customers believe that they’re shopping around. He called 30-year loans on mobile homes “a mistake,” according to notes Tilson took during Berkshire Hathaway’s 2003 shareholders meeting. Clayton dealers often sold homes with no cash down payment. Numerous borrowers said they were persuaded to take on outsized payments by dealers promising that they could later refinance. And the average loan term actually increased from 21 years in 2007 to more than 23 years in 2009, the last time Berkshire disclosed that detail. Clayton’s loan to Dorothy Mansfield, a disabled Army veteran who lost her previous North Carolina home to a tornado in 2011, includes key features that Buffett condemned. Not only borrowers, but dealers of Clayton homes have felt mistreated by the company, said Kevin Carroll, who until a few years ago owned Carroll’s Mobile Homes in southern Indiana. Carroll, who won Clayton awards for sales volumes, said his problems with the company began after CEO Kevin Clayton helped him with a loan from subsidiary 21st Mortgage in 2008 to buy out his business partners. Two weeks after the loan documents were signed, Clayton Homes told Carroll it was shuttering the manufacturing plant, only 70 miles away, that supplied Carroll’s inventory. Carroll said he was unable to obtain Clayton parts for the homes in his inventory and said Clayton stopped helping him get new homes to sell. Carroll’s business lost money, and he could no longer afford the loan payments. Clayton representatives hounded him with phone calls demanding payment, he said. In 2010, he had to surrender his company and the land underneath it to meet his mounting debts. 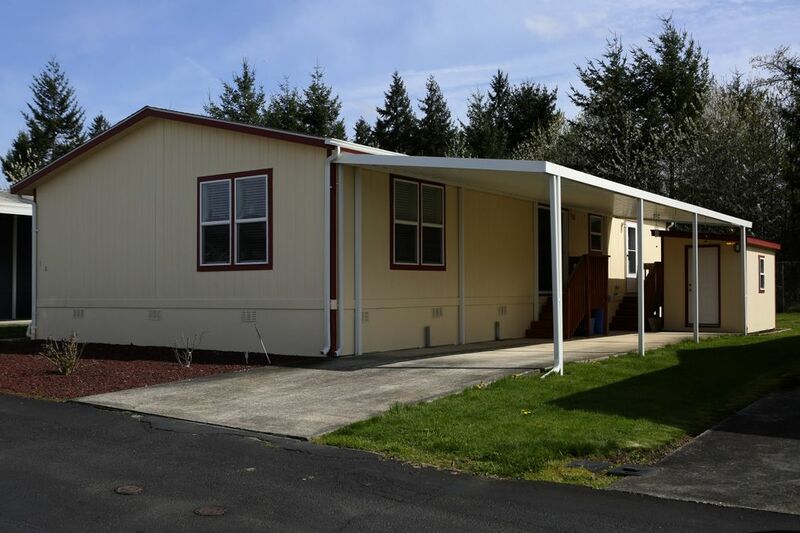 During the most recent four-year period, 93 percent of Clayton’s mobile-home loans had such costly terms that they required extra disclosure under federal rules. Among all other mobile-home lenders, fewer than half of their loans met that threshold. Customers said in interviews that dealers misled them to take on unaffordable loans, with tactics including last-minute changes to loan terms and unexplained fees that inflate loan balances. Such loans are, by definition, predatory. “They’re going to assume the client is unsophisticated, and they’re right,” said Felix Harris, a housing counselor with the nonprofit Knoxville Area Urban League. Some borrowers felt trapped because they put up a deposit before the dealer explained the loan terms or, like the Ackleys, felt compelled to swallow bait-and-switch deals because they had spent thousands to prepare their land. 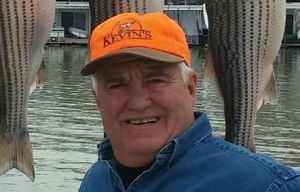 A couple of years after moving into their new mobile home, Kirk Ackley was injured in a backhoe rollover. Unable to work, he and his wife urgently needed to refinance the costly 21st Mortgage loan they regretted signing. They pleaded with the lender several times for the better terms that they originally were promised, but were denied, they said. The Ackleys tried to explain the options to a 21st supervisor: If they refinanced to lower payments, they could stay in the home and 21st would get years of steady returns. Otherwise, the company would have to come out to their rural property, pull the house from its foundation and haul it away, possibly damaging it during the repossession. 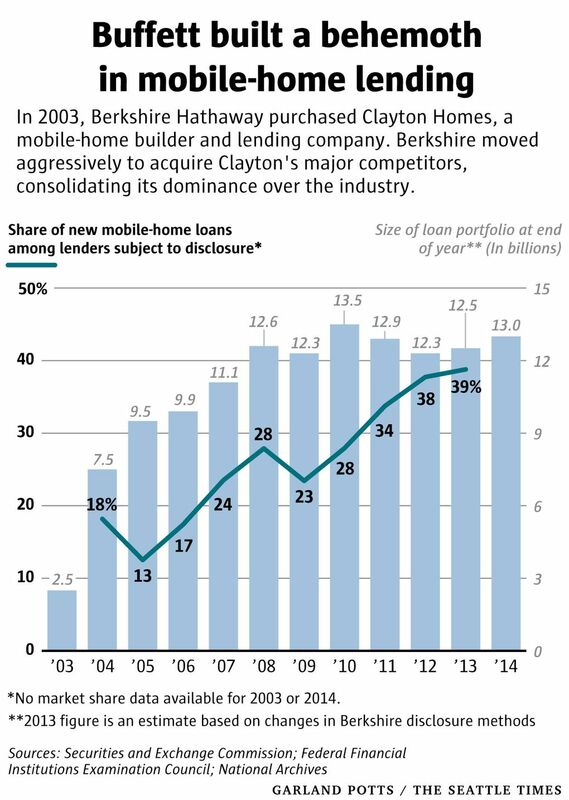 Of Washington’s 25 largest mobile-home lenders, Clayton’s subsidiaries ranked No. 1 and No. 2 for the highest interest rates in 2013. Together, they ranked eighth in loans originated. Ellie Carosa, of Napavine, Lewis County, found this out the hard way in 2010 after she put down some $40,000 from an inheritance to buy a used home from Clayton priced at about $65,000. One year later, Carosa was already having problems — peeling paint and failing carpets — so she decided to have a market expert assess the value of her home. 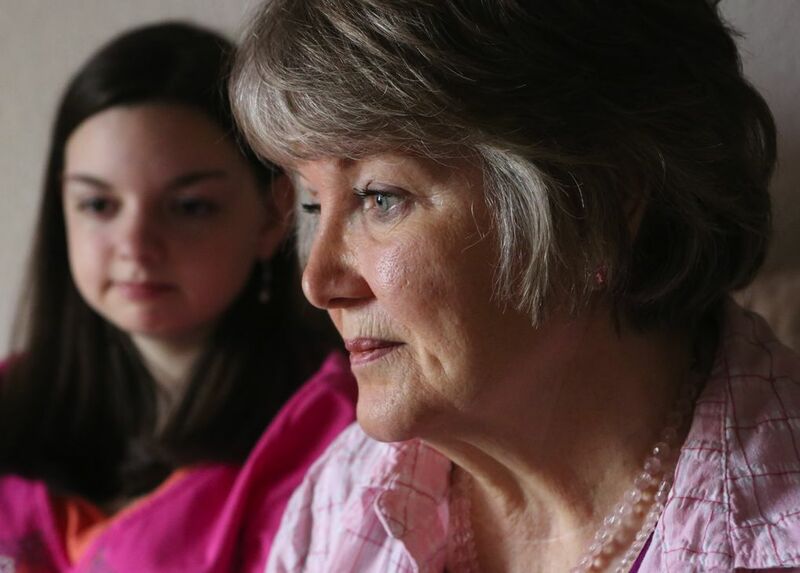 She hoped to eventually sell the house so the money could help her granddaughter, whom she adopted as her daughter at age 8, attend a local college to study music. Carol Carroll, a nurse living near Bug Tussle, Ala., began looking for a new home in 2003 after her husband had died, leaving her with a 6-year-old daughter. Instead of a down payment, she said, the salesman assured her she could simply put up two acres of her family land as collateral. But the company has provided scant data to back up Buffett’s claims. “I wouldn’t give much credence to those comments,” said James Shanahan, an analyst with Edward Jones who follows Berkshire Hathaway. Typically, lenders disclose loan information, such as size of loans and their down payments, delinquencies, defaults and foreclosures. Regulators rely on the information to protect consumers and shareholders. But Clayton Homes doesn’t have to make these details public because it is part of a bigger company, Berkshire Hathaway. Each year since 2010, Berkshire has declared in SEC records that 98 percent of its loan portfolio is “performing.” But its definition of “nonperforming” — found elsewhere in the documents — is narrow. Berkshire’s impressive-sounding ratio ignores loans that are delinquent and homes that already have been foreclosed or repossessed. Across the industry, about 28 percent of non-mortgage mobile-home loans fail, according to research by Kenneth Rishel, a consultant in the field for 40 years. Clayton’s failure rates are 26 percent at 21st Mortgage and 33 percent at Vanderbilt, said Rishel, citing his research and conversations with Clayton executives. However, Clayton ratcheted up her property-insurance premiums, eventually costing her $803 more per year than when she started, she said. Carroll was one of several Clayton borrowers who felt trapped in the company’s insurance, often because they were told they had no other options. Some had as many as five years’ worth of expensive premiums included in their loans, inflating the total balance to be repaid with interest. Others said they were misled into signing up even though they already had other insurance. Carroll has since sold belongings, borrowed money from relatives and cut back on groceries to make payments. When she was late, she spoke frequently to Clayton’s phone agents, whom she described as “the rudest, most condescending people I have ever dealt with.” It’s a characterization echoed by almost every borrower interviewed for this story. Consumers say the company’s response to pleas for help is an invasive interrogation about their family budgets, including how much they spend on food, toiletries and utilities. Denise Pitts, of Knoxville, Tenn., said Vanderbilt collectors have called her multiple times a day, with one suggesting that she cancel her Internet service, even though she home-schools her son. They have called her relatives and neighbors, a tactic other borrowers reported. Buyers told of Clayton collectors urging them to cut back on food and medical care or seek handouts in order to make house payments. Practices like contacting neighbors, calling repeatedly and making false threats can violate consumer-protection laws in Washington, Tennessee and other states. Explore a variety of financing options before you begin home shopping. Shop around, and be aware of which companies own the lots you are visiting. Resist pressure to buy the same day you shop. Scrutinize all fees and charges listed on your loan documents. Ensure that your monthly payments will be manageable, and don’t expect a chance to refinance. Finalize a financing agreement before putting money down or making land improvements. Be aware that many mobile homes depreciate in value. Test your loan’s terms in our interactive calculator. Mobile-home buyers who own their land sites may be able to finance their home purchases with real-estate mortgages, which give them more federal and state consumer protections than the other major financing option, a personal-property loan. With conventional home mortgages, companies must wait 120 days before starting foreclosure. In some states, the foreclosure process can take more than a year, giving consumers a chance to save their homes. Despite these protections, two-thirds of mobile-home buyers who own their land end up in personal-property loans, according to a federal study. These loans may close more quickly and have fewer upfront costs, but their rates are generally much higher. And if borrowers fall behind on payments, their homes can be seized with little or no warning. 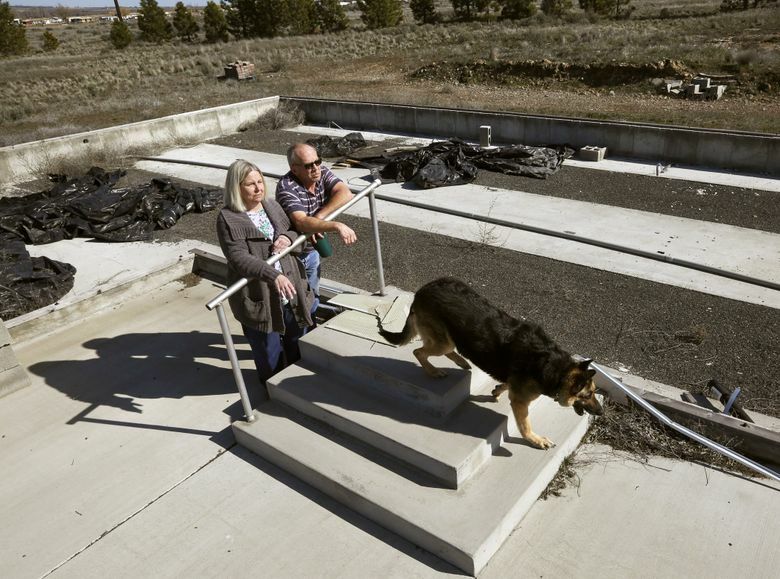 Those buyers are more vulnerable because they end up being treated like car owners instead of homeowners, said Bruce Neas, an attorney who has worked for years on foreclosure and manufactured-housing issues in Washington state. Tiffany Galler was a single mother living in Crestview, Fla., in 2005 when she bought a mobile home for $37,195 with a loan from 21st Mortgage. She later rented out the home. Hours later, Galler tracked her repossessed house to a sales lot 30 miles away that was affiliated with 21st. It was listed for $25,900. 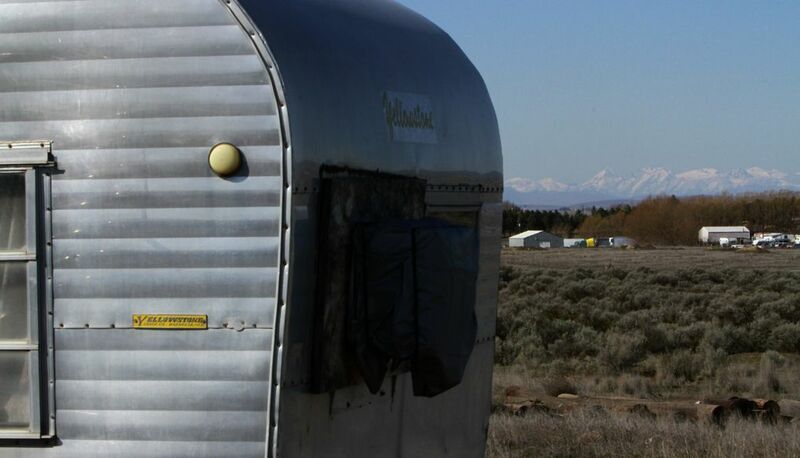 The government has known for years about concerns that mobile-home buyers are treated unfairly. Little has been done. The industry, however, has protected its interests vigorously. Clayton Homes is represented in Washington, D.C., by the Manufactured Housing Institute (MHI), a trade group that has a Clayton executive as its vice chairman and another as its secretary. CEO Kevin Clayton has represented MHI before Congress. “There is a Teflon aspect to Warren Buffett,” said James McRitchie, who runs a widely read blog, Corporate Governance. Although the rules had yet to take effect that year, 99 percent of Clayton’s mobile-home loans were so expensive that they met the federal government’s “higher-priced” threshold. The Mobile-Home Trap is an ongoing investigation. We are interested in hearing about more people's experiences with mobile homes. If you own a mobile home or live in a mobile-home park, email Seattle Times reporter Mike Baker at mbaker@seattletimes.com. Clayton’s own data suggest that its mobile homes may be overpriced from the start, according to comments it filed with federal regulators. When Vanderbilt was required to obtain appraisals before finalizing a loan, company officials wrote, the home was determined to be worth less than the sales price about 30 percent of the time. But when federal agencies jointly proposed appraisal rules in September 2012, industry objections led them to exempt loans secured solely by a manufactured home.